Make a friend disappear, leaving only a smile behind. Under most circumstances, both of your eyes receive fairly similar views of the world around you. You fuse these views into a single three-dimensional picture. But what happens when your eyes receive different images? Note: We strongly recommend using plastic mirror for this Snack, since it is much safer than glass. If you must use glass mirror, tape the edges to minimize the chance of cuts, and glue the entire back surface (not just the corners or certain spots) to a piece of cardboard or wood backing—this way, even if the mirror cracks or breaks, there will be no loose shards of glass. Sit so that the white surface or wall is on your right and have your partner sit a few feet in front of you. Hold the bottom of the mirror with your left hand, and put the mirror edge against your nose so that the reflecting surface of the mirror faces sideways, toward the white surface. While keeping the mirror edge against your nose, angle the mirror so that your right eye sees just the reflection of the white wall, while your left eye looks forward at your partner's face (see diagram). Move your hand in front of the white surface as if passing a blackboard eraser over the surface. Watch as parts of your friend’s face disappear. It will help if your friend is sitting very still against a plain, light-colored background. You should also try to keep your own head as still as possible. Individuals vary greatly in their ability to perceive this effect. You may have to try several times, and a few people may never succeed in observing it. Don’t give up too soon! Give yourself time to see the effect. Normally, your two eyes see very slightly different pictures of the world around you. Your brain analyzes these two pictures and then combines them to create a single, three-dimensional image. Here, the mirror lets your eyes see two very different views. One eye looks straight ahead at another person, while the other eye looks at the white wall or screen and your moving hand. Your brain tries to put together a picture that makes sense by selecting bits and pieces from both views. Your brain is very sensitive to changes and motion. 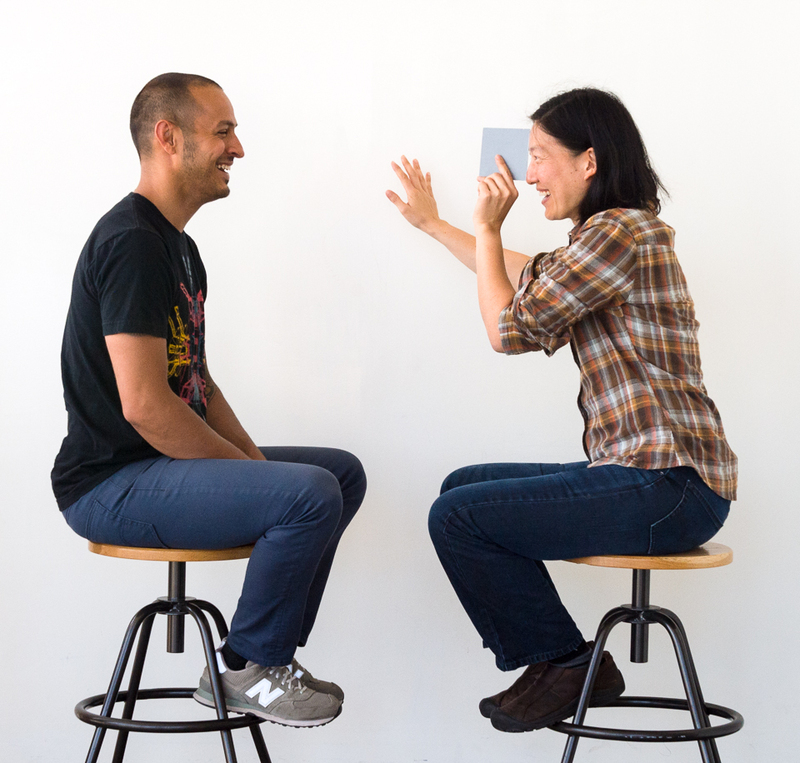 Because the other person is sitting very still, your brain emphasizes the information coming from your moving hand, rather than the unmoving face. As a result, parts of the person’s face disappear. No one knows how or why some parts of the face may remain, but the eyes and mouth seem to be the last features to disappear. The name for this Snack comes from the Cheshire Cat in Lewis Carroll’s 1865 novel Alice’s Adventures in Wonderland. The cat disappears, leaving behind only its smile. Make your partner's face disappear, leaving only a smile.